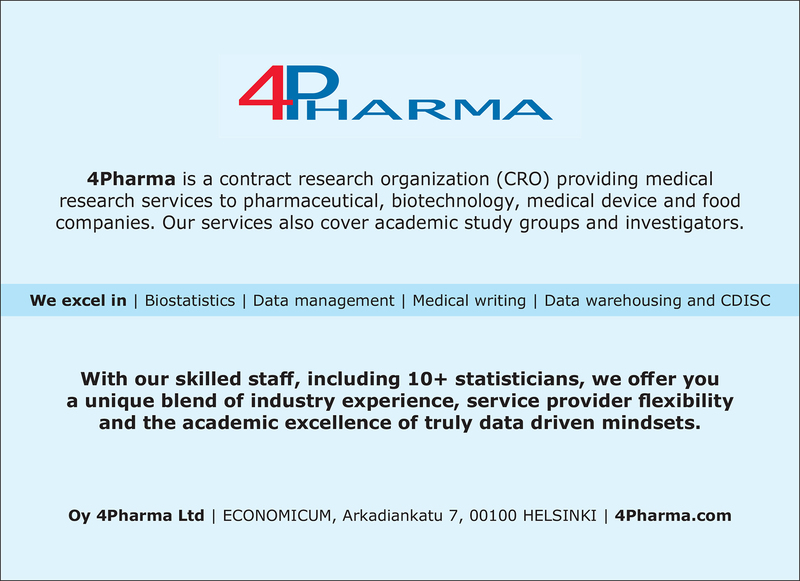 Owned by the HUS Joint Authority, Clinical Research Institute Helsinki University Central Hospital Ltd (HYKS-instituutti) is an efficient and agile organization that produces and develops management services for medical and health sciences research. In addition to the hospital district, the Clinical Research Institute HUCH works together with the University of Helsinki. The Clinical Research Institute HUCH has over 25 years’ worth of experience in providing management services for clinical trials, including drawing up contracts, budgeting, financial and personnel administration, and monitoring and reporting during the trials. 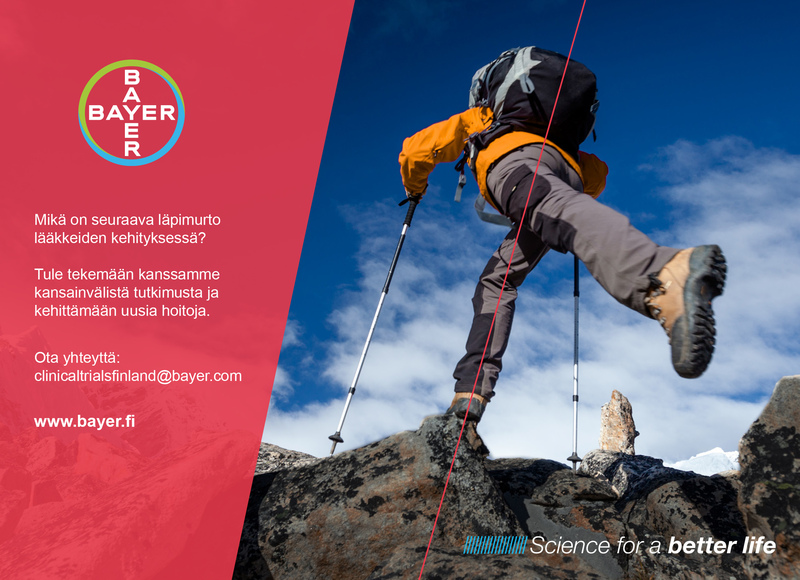 The objective of the Clinical Research Institute HUCH is to promote high-quality international research in the entire Helsinki and Uusimaa Hospital (HUS) district. 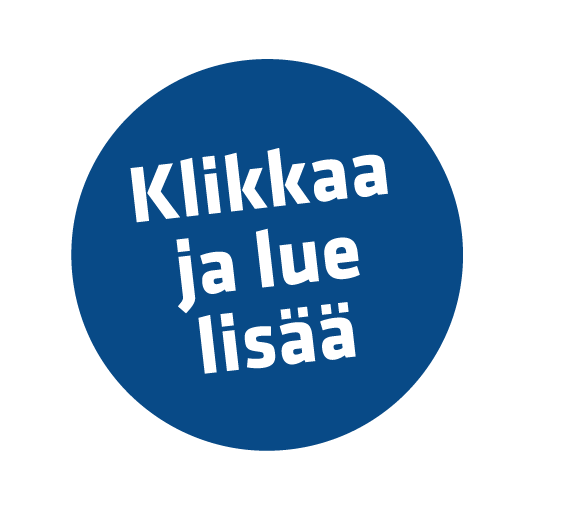 The Academic Medical Center Helsinki (AMCH), a joint project of HUS hospitals, the Faculty of Medicine of the University of Helsinki, and the Helsinki Institute of Life Science, is the largest clinical medical research network in Finland. The Clinical Research Institute HUCH is located in the heart of the internationally renowned AMCH campus. 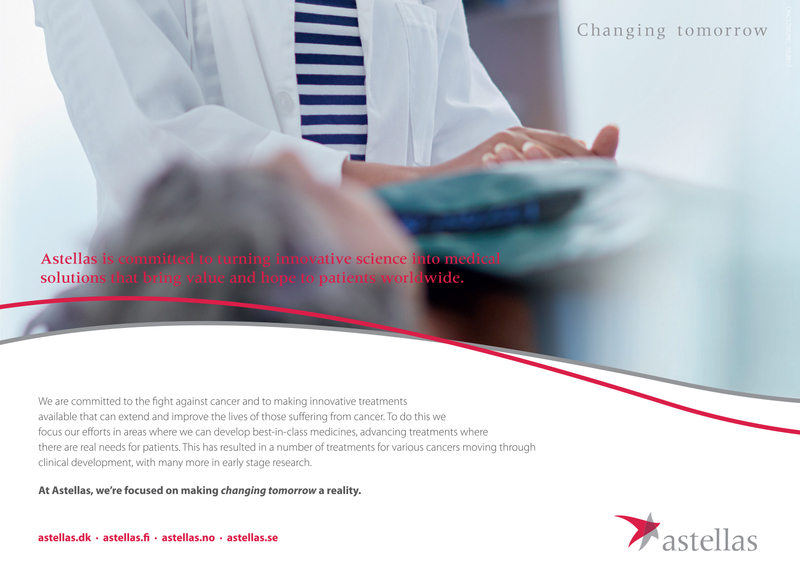 The research work produces innovations and increases expertise that both advance patient care. Those involved in high-level research projects have also in-depth practical knowledge of the diseases they study. Moreover, research brings financial benefits to the trial participants and society as a whole as the costs of research and investigational drugs are covered by pharmaceutical companies. Majority of the company’s revenue comes from commission agreements made with international pharmaceutical companies. In 2017, the revenue and other earnings amounted to EUR 8.1 million. In addition to private companies, our important customer groups include high-level research units of HUS and different health technology companies. The center receives 100 – 120 new assignments annually, and several studies last for years. At the moment, the Clinical Research Institute HUCH has over 400 research projects in progress. The Research Management Team of Clinical Research Institute HUCH administers externally funded medical research projects conducted at HUS. The team ensures that each research group can carry out research work in the HUS region safely and with adequate resources. Our core objective is to provide efficient, reliable, equal, and transparent services to our stakeholders. All research projects overseen by the Clinical Research Institute HUCH follow the principles of Good Clinical Practice (GCP), an international ethical and scientific quality standard for clinical trials involving human subjects. Principles of Good Clinical Practice are intended to provide assurance that the rights, safety, and well-being of clinical trial subjects are protected in accordance with the principles based on the Declaration of Helsinki (1964) of the World Medical Association (WMA) and that research yields quality scientific data. Participation in a clinical trial is always voluntary and based on informed consent obtained after the candidate has been given detailed information about the trial. For most subjects, participation in clinical trial is a positive experience when the subjects are taken care of by trained professionals who have access to the latest drugs.. The Clinical Research Institute HUCH oversees all agreements required during a research project. Research agreements govern the parties’ rights and obligations and ensure the well-being and safety of subjects. In a best-case scenario, research leads to new inventions that can be patented or trademarked so that they can be develop into commercial products. The Financial Administration Team is in charge of the processing of sales and purchase invoices, payment of wages and remunerations, and bookkeeping at the Clinical Research Institute HUCH. The Financial Administration Team also ensures the accuracy of the company’s bookkeeping records and pays withholding and value added taxes to the tax authority and prepares reports to the owner, different stakeholders, and authorities based on the records. The Clinical Research Institute HUCH is the employer of the entire research group when externally funded research is conducted at HUS. Research group members employed by HUS are granted secondary occupation permissions automatically when research permission is granted. Clinical Research Institute HUCH provides employees with compensation in the form of wages or salaries or remuneration for work performed in accordance with the budget. Researchers agree on remunerations to be paid together with the Research Management Coordinator of the of the Clinical Research Institute HUCH and members of the research team. The Financial Administration Team sends researchers a report detailing the profits, costs, and balance of the research project as well as the research events of the current calendar year. Once the research project has been completed, the financial administration team issues a final report on the project’s total income and expenses. The Clinical Research Institute HUCH offers monitoring services for investigator-initiated clinical studies. The monitoring is performed in accordance with currently valid rules and regulations, Good Clinical Practice (GCP), and the standardized instructions of Clinical Research Institute HUCH. Monitoring is an integral part of quality assurance in clinical research, and when it is done well, monitoring supports researchers in their efforts to conduct high-quality clinical trials. The principal investigator is responsible for arranging monitoring of investigator-initiated studies, and it is recommended to contact a research monitor early on in the planning process. The extent and type of monitoring are defined in the study-specific research plan by taking into account the researcher’s needs. During the research project, monitoring visits are made as agreed in the monitoring plan. The number of visits depends on factors such as number of trial subjects, recruitment rate, risks involved in the trial, and the amount of data to be collected. The first proper monitoring visit to a trial center is made soon after the first trial subject has entered the trial to ensure smooth start of the trial. At the Clinical Research Institute HUCH, grants awarded by foundations are administered to the extent the researcher is conducting research on HUS patients and/or using HUS premises or resources. It is up to the researchers to see the grants are used in the limits imposed by the awarding institution, as the grants are awarded to the researchers personally. In grant-funded research projects, Clinical Research Institute HUCH prepares the employment contracts of the research group to be hired, manages bookkeeping, and submits statutory notifications to authorities. When researcher is using a grant to hire research project members, the researcher acts as an employer. In addition, Clinical Research Institute HUCH also handles the payments of purchase invoices and other expenses accrued in the researcher’s project. The researcher is given a report on the expenses four times a year and upon request. Today’s clinical trials are tomorrow’s care practices.